Make Your Roof Look New Again Or Prevent Roof Leaks By Scheduling Yearly Roof Washing Services, Serving Seattle, Tacoma, Granite Falls, Mossyrock and many more! Northwest Washington's No.1 Roof Cleaning Experts! Servicing Beyond King County, Pierce County and Snohomish County with nothing but the best exterior cleaning services! If you live around Seattle there's a good chance moss spores are growing on your roof as you read this. 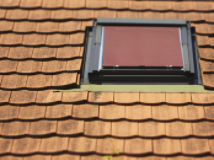 Scheduling a yearly roof cleaning with Seattle Moss Removal more often than not pays for itself down the road because we'll take care of your roof tiles and prevent all erosion. We service all homes with the best roof cleaning techniques and stay safe as much as possible. If you're on Whidbey Island you'll be glad to know we remove and clean all lichen as well. Call is the Northwest Washington Lichen Removal Company if you wish, because we'd fit the title well as we send quality experts in a kindly manner to remove and dirt and black streaks from your roof shingles. Call today at 206-866-2277! Residential Roof Cleaning Company Seattle WA, with Love in Mind! Seattle Moss Removal cares about the quality of the service we provide. In your free quote is guaranteed a professional job well done to match the expectations of the pickiest homeowners. Our roof cleaning formula is fit for the toughest of jobs without harming the environment. Experts in the industry, our roof cleaning company strives to deliver our soft roof washes on time and to your delight. Nowhere else in Kent, Seattle, Tacoma, et cetera, will you find an exterior house cleaning company so versatile in skills. Consider your exterior windows, your interior storm windows or your character home windows sparkling clean without a spot to mention! Call today or fill out our easy quote form! Seattle Moss Removal covers every service you'll need to make the exterior of your home, building or business sparkling clean, including the best roof cleaning services you can find in Seattle. Our crew of roof cleaners knows the best techniques to remove moss off roof shingles and as exterior window cleaners we also know how to safely use a ladder and harness to reach up high onto the most dangerous of rooftops to make sure not a single speck of algae, moss or black streak is left behind. Getting your roof regularly cleaned may look nice but the real purpose is to prolong you hiring a roofing contractor until you have to. 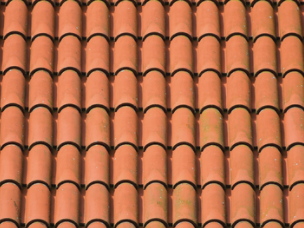 Moss and mold erodes at your roof tiles and lifts the shingles up enabling water and other things like bugs to get into your home. And we're familiar with all fashions of roof design and tile structure so you don't have to worry about us using the wrong moss killer formulas for wood tiles or staining solutions on your slate roof. Our prices are fair and you can be guaranteed the best cost for your roof wash.
Gutter cleaning comes when you order our roof washing services because it's convenient for us both to get it done while we're up there so you don't have to call us again anytime soon. And when we offer a free, no-obligation quote you can't go wrong calling us! We're hear to satisfy all your roof washing needs, whether you need an eco-friendly roof shampoo, a soft roof wash or a heavy duty moss removal, we got your back! Consider calling us when you're ready; you'll gain nothing but time and knowledge by doing so today! Nowhere else in Seattle will you find a team as polite and dedicated to make sure your roof cleaning is handled properly. We offer roof moss removal for the fairest prices as well as the best results! 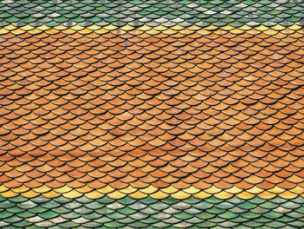 Trust us once and never will you have a need to call a different roof washing business! It's easy for us to promise complete satisfaction when we clean your roof because no matter which roof we're on we always make sure to never miss a spot, to never dent or scratch gutters with our ladders and best of all we work quietly without music or loud talking so you can assure your baby will stay asleep! Our team is experienced enough to feel safe offering guaranteed satisfaction when you order full perimeter moss removal with your roof washing service.​​ Of course, our moss killer solution doesn't last forever but if anything grows back within call us to remove it! Trust us and you won't be disappointed!